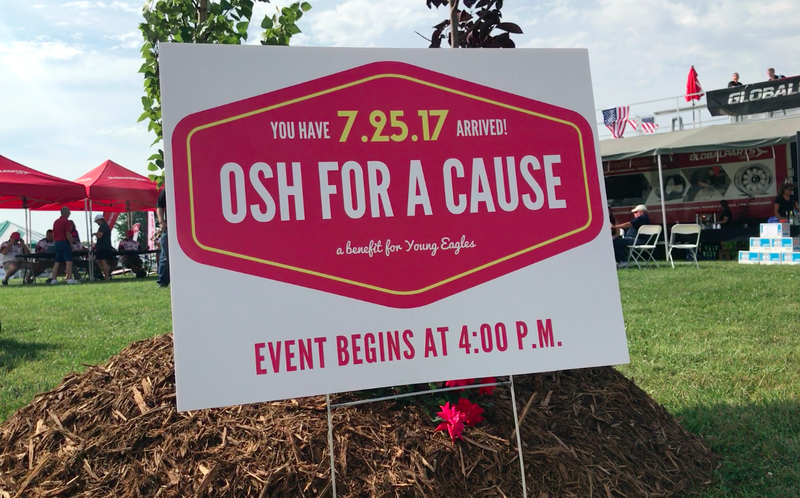 Precise Flight, Inc. and GlobalParts.aero are proud to announce that a total of $1,610 was raised for EAA’s Young Eagles program during ‘Osh for a Cause,’ on Tuesday, July 25th at EAA Airventure 2017. ‘Osh for a Cause’ featured celebrity pilots and the opportunity for fans to connect with their favorite aviator while supporting youth in aviation. In attendance were well known aviators such as the Aeroshell Aerobatic Team, Allison Leeward, Deon Mitton and Jessica Bauman. Funds were raised through the sale of raffle tickets for prizes donated by Precise Flight, Inc., Deon Mitton Photography, MGF, and Grypmat. In addition, GlobalParts.aero donated a matching gift to match funds raised through ticket sales. – Malissa Nesmith, Senior VP/COO of GlobalParts.aero. 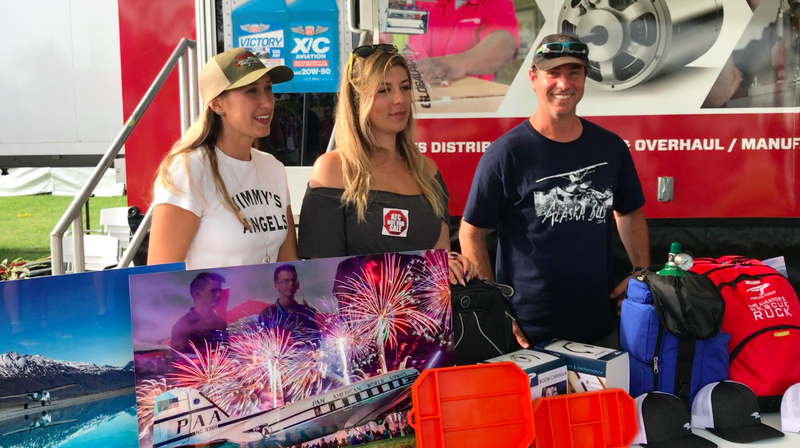 “On behalf of GlobalParts.aero and our partners at Precise Flight, Inc., thank you to all of our celebrities and attendees for coming together to support young aviators world wide,” said Malissa. GlobalParts.aero and Precise Flight have released a brief video recap of Osh for a Cause which can be viewed online at http://bit.ly/oshforacause. Headquartered in Bend, Oregon, Precise Flight, Inc. has been a global leader in aviation safety and performance for over 37 years. Precise Flight supplies innovative solutions and products for every type of aircraft. From major commercial airlines and fleet operators, to business jets, rotorcraft, and all segments of general aviation, Precise Flight’s products make flying safer and the business of flying more profitable. Precise Flight’s products, including the Pulselite® System, LED and HID lighting systems, fixed and portable oxygen systems, and SpeedBrakes, are installed on a wide variety of aircraft around the world. For more information, visit www.preciseflight.com. Love the Young Eagles foundation!